Small but extremely destructive bugs from Asia are causing major disruptions to our tree canopy. In 2016, the Montgomery County Department of Parks started removing potentially hazardous ash trees from parkland owned by the Maryland-National Capital Park and Planning Commission. These trees had to be cut down because they were infected by an exotic, invasive insect known as the emerald ash borer. 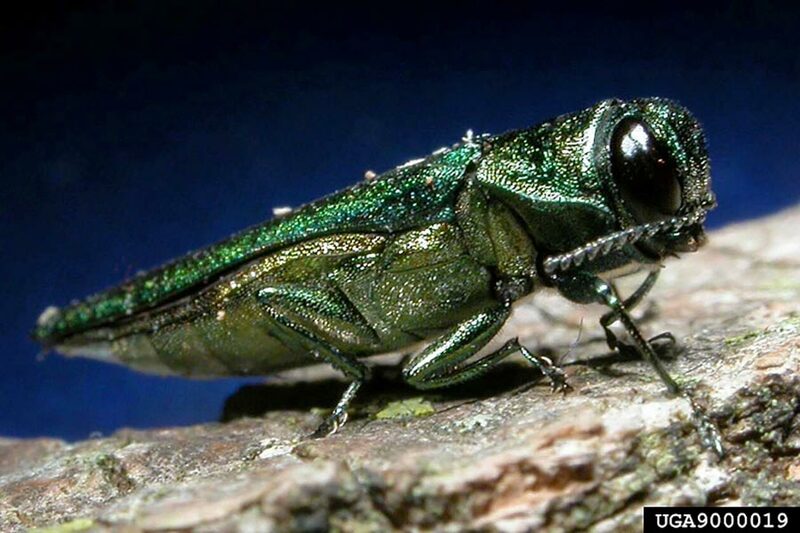 The larvae from this metallic-green beetle can quickly bore into an ash tree, feed on its inner bark and kill it in one to three years, so the dead tree becomes dangerous to people and property. Insecticide treatments cannot save the tree, so the best strategy is to remove it and get rid of the infected wood. The purpose of the 2012 PROS Plan is to estimate the future needs for park and recreation facilities and natural, historic and agricultural resource preservation and to develop specific service delivery strategies to meet future needs through the year 2022 and beyond. This broad-ranging Plan covers traditional park and trail facilities on public and private land, but also delves into preservation and enhancement of historic, cultural, and agricultural resources. How far can you get on transit in 10, 30, 45 minutes? What a fun toy! 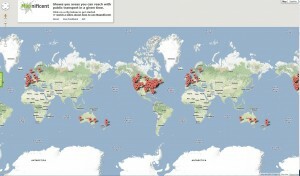 Mapnificent shows you how far you can travel on transit from any address for several cities around the world. I was able to quickly look at Chicago and Philadelphia, two cities I’ll be visiting soon, and the times looked about like I’ve experienced before (as does Silver Spring’s). Nothing for Providence, another city I’ll be visiting this summer, although I know RIPTA has a decent system. More info and examples were posted on The Atlantic Cities site. 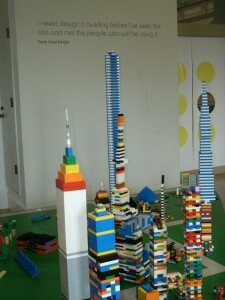 The ongoing Lego (R) exhibit, Towering Ambition, at the National Building Museum has some very cool models of famous buildings, but also provides a play area for kids and families. More interesting than the models, however, are the prompts about land use and community planning hanging around and adorning the space where kids (and adults) can play with the Legos. Rather than focus on cool buildings, like the exhibit, these prompts ask budding designers to think about places beyond the bounds of an individual building, to think like a town planner (and a rather progressive one at that). Unfortunately the prompts still relegate land uses to separate building forms, but do suggest locating them near one another. 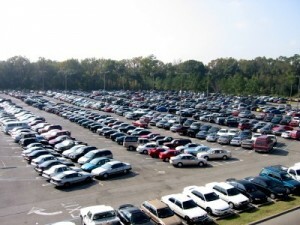 Parking is one of the single-most controversial aspects of development splitting generally along the lines of “we don’t require enough” versus “we require too much”. Parking management is an issue that affects congestion, pollution, pedestrian comfort & safety, potential for open space and green areas, business revitalization feasibility, and many other topics. With so many factors being effected, it’s probable that no model we develop will make everyone (or maybe anyone) completely happy. But it is our task to try. Plant Chicago: more on the apparent topic of the day. 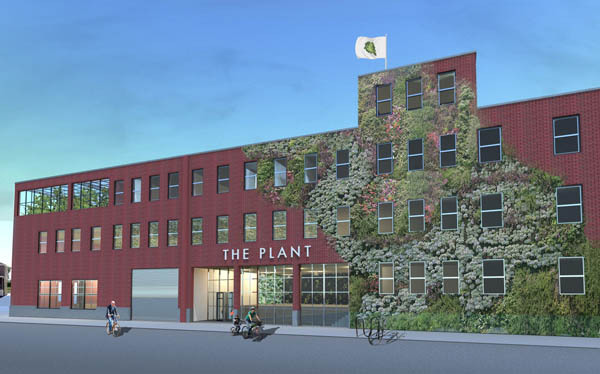 Adaptive reuse of existing buildings for agriculture: Plant Chicago – vertical farming and industrial reuse. Take a quick look at their philosophy in 2 minutes. Don’t think we’d have any 40-story buildings, but what if we used less and converted … i don’t know … some of our numerous self-storage facilities to vertical farms? 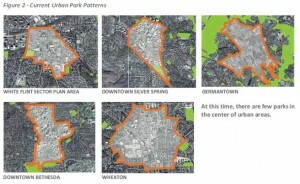 When it comes to the built environment, the Washington region has long been one of the proving grounds for Planning. From the first-ever National Planning Conference in 1909 to the demonstration of New Urbanism at Kentlands, Washington has benefited from planning ideas that often seemed far-fetched at the time. Greenbelt, Maryland is no exception. It’s the best-preserved example of New Deal-era utopian town planning in the United States, and has been named a National Planning Landmark. 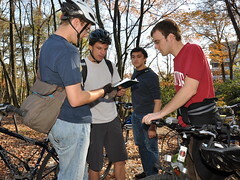 This Saturday, I’m leading a bike tour of the community (details below). I hope you can make it. On communities having more input. Not sure I’m down with the program advocated in all – or even most – cases. But important for particularly important locations and projects, e.g., civic buildings and open spaces. An example of the grassroots process advocated above that did work: Paint Your Faith. On artists taking to the streets. But what isn’t more fun in Rome? Share something in your local park. This is what the right to assembly is all about – knowledge pursued in public spaces. Last, as if Rybczynski didn’t explain why our cities aren’t like Europe’s well enough – we’re still experimenting with ways to integrate bike transportation.